In 1996, Smashing Pumpkins embarked on an extended world tour in support of the album “Mellon Collie And The Infinite Sadness”. 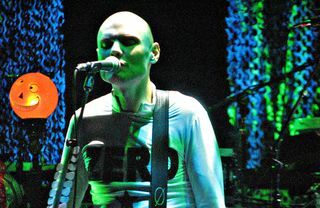 Billy Corgan’s iconic look during this period was a newly shaved head, silver pants and a longsleeve black shirt with the word “ZERO” printed on it. 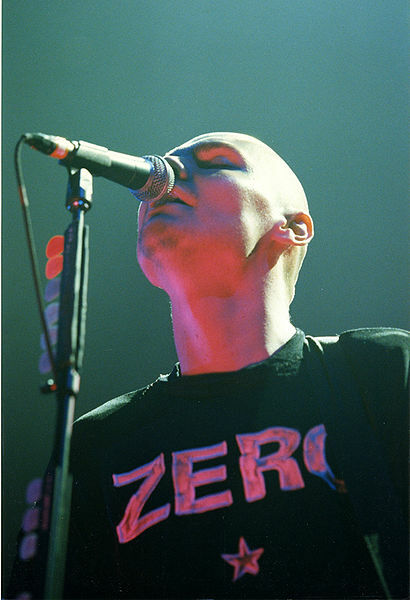 Corgan was rarely spotted on stage without the black Zero shirt in this era. 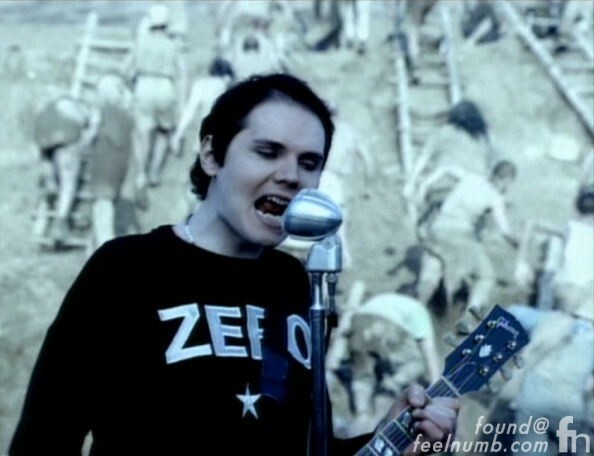 The shirt actually made it’s debut on Corgan in the “Bullet with Butterfly Wings” music video in 1995 when SP revealed their new “glam rock” wardrobes and shortly before shortly before Corgan shaved his head. The shirt that he wore during that period was originally made by a skate company called Zero Skateboards. The shirts stopped being produced and once Billy sported the iconic shirt they became quite rare as millions of Pumpkinheads ran out to get matching Zero shirts and hoodies. 2. 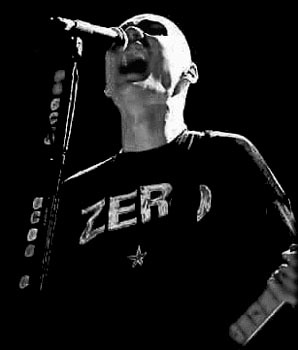 “Zero” was/is sort of a “superhero” Billy Corgan created that is loosely based around himself. From there, a story was conceived revolving around a rock star named Zero hearing the voice of God, renaming himself Glass, and renaming his band The Machines of God. Fans of the band were referred to as the “Ghost Children”. The Pumpkins eventually bought the rights to the shirt and made their own and they are still on sale today. Billy brought back the shirt in 2008 occasionally wearing an inverted version of the shirt (white material with black lettering/star) on their Zeitgeist Tour. UPDATE: In 2011, Billy put one of his original Zero shirts up for auction on eBay for Japan earthquake relief and it sold for $6,547.41. This is one of only 4 original hand made shirts, designed by Billy Corgan and put together in 1995 for the release and tour of the nine-times-platinum record Mellon Collie and the Infinite Sadness. This “ZERO” shirt comes with a certificate of authenticity signed by Billy Corgan himself. Worn by Billy for some of the band’s best known appearances on stage, television, and for photo shoots, etc., this shirt is one of the most recognizable pieces of the band’s iconic history. 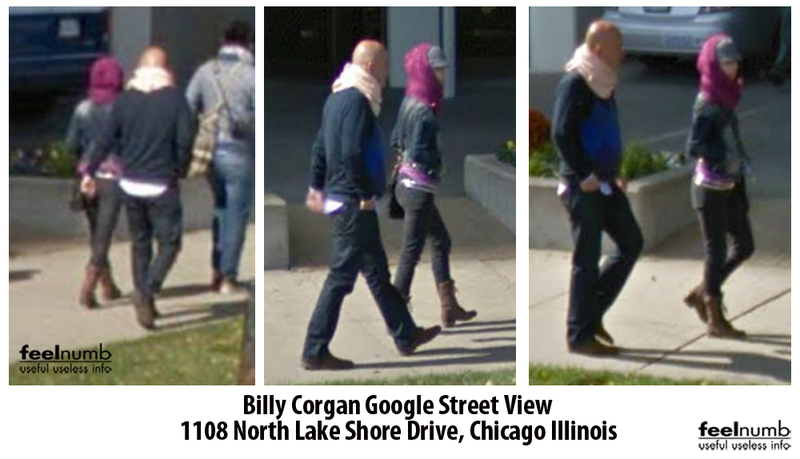 Click on the photo to link below to check out this cool about Corgan being spotted on Google Street View.